Detectives have arrested a West Loop man who they say robbed a Lakeview vitamin store and an Old Town dry cleaner on November 25. 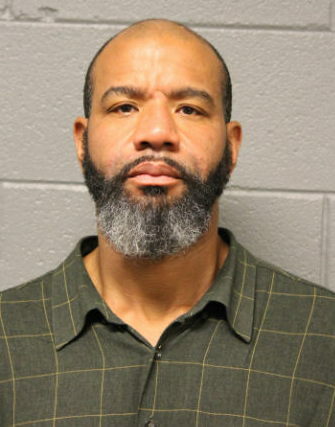 Antonio Sheppard, 46, was arrested last Tuesday afternoon in the 1300 block of South Canal wearing the same clothes that the store robber wore days earlier, police said. Police say video surveillance showed Sheppard entering the 7-Eleven store at 30 East Jackson shortly on the morning of November 25. He used his personal LINK card to buy a Snickers candy bar. Then, a few minutes later, he returned to the same store, pulled out a knife, and robbed the clerk, police said. Around 11:20 a.m. that morning, Sheppard pressed a kitchen knife to a worker’s skin as he robbed The Vitamin Shoppe at 3325 North Ashland, prosecutors said. About 30 minutes earlier, he also held up the Best Price Cleaners at 1212 North Wells while brandishing a knife, according to charges. Investigators armed with surveillance photos of the 7-Eleven robber happened upon Sheppard last Tuesday and took him into custody for questioning. Sheppard is now charged with three counts of Class X felony armed robbery. He has been ordered held without bail.